Ninoy Aquino International Airport Terminal 3 -Manila, Philippines. 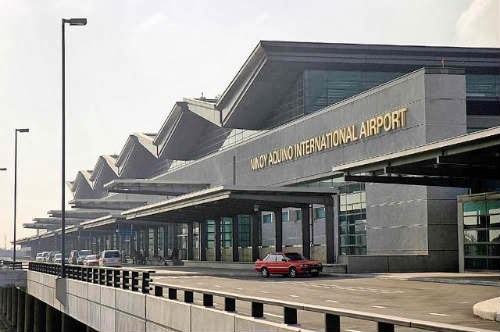 (Business Mirror) MANILA - Talks are under way to transfer five international air carriers from the old Ninoy Aquino International Airport (Naia) Terminal 1 to Naia 3 to decongest the airport, and also in preparation for the Asia-Pacific Economic Cooperation (Apec) summit in 2015. The media got wind of report that Manila International Airport Authority (Miaa) General Manager Jose Angel Honrado had asked the five international carriers—Singapore Airlines, Cathay Pacific, Delta Air, KLM and Emirates Airline—to transfer operations as soon as possible to Naia 3. But when pressed to provide one, Honrado gave them a draft document where the air carriers would indicate their comment so that a final draft would be amenable to everyone. The concerned airlines’ reluctance to transfer without a contract is understandable; although the courts ruled that the Miaa owns Naia 3, it has yet to comply with its obligations to fully compensate the Philippine International Air Terminals Co. Inc. (Piatco), the terminal’s builder. The BusinessMirror tried to get in touch with Honrado by SMS but did not get any reply. In December 2004 the government expropriated the terminal project from Piatco through an order from the Regional Trial Court in Pasay City. But the court only allowed the Miaa to take over the terminal upon payment of an initial amount of P3 billion (approximately $64 million) to Piatco. The government, on the other hand, has sealed a P1.9-billion deal with Japanese contractor Takenaka Corp. to make Naia 3 fully operational next year, but the rehabilitation itself could take longer than initially expected. Last year the Department of Transportation and Communications (DOTC) said it had “reached an agreement” with Takenaka with an eye toward having Terminal 3 fully operational by August 2014. Under the terms of the agreement, Takenaka would complete the work within 12 months, which include the baggage handling, flight-information display, computer terminal, gate coordination and fire-protection systems. Naia 3 is currently operating at half its annual capacity of 13 million passengers due to certain structural issues, which Takenaka is bound to address. The Naia terminals are the main gateway to Metro Manila and are projected to serve a total of 34 million passengers this year, the Miaa said last month. Honrado has been in the limelight lately because of charges of incompetence for alleged failure to make the premier airport an attractive and efficient place for air travelers. He was also criticized when assassins gunned down Zamboanga del Sur Mayor Ukol Talumpa and members of his family shortly after debarking from an airplane and while waiting for their vehicle at the curbside. The killings happened without any footage evidence because of the failure of the Miaa to install a closed-circuit television (CCTV) camera as part of the airport’s security system. The 30-year-old Naia Terminal 1, built during the term of the late strongman Ferdinand Marcos, is getting refurbished to the tune of P1.6 billion. Workers are seen busy scraping the old concrete cladding of the building’s façade and replacing them with a smooth coating of concrete. Charges of congestion from air traffic and passengers have long been leveled against Naia, which had overgrown its design capacity. The airport is named for the late Sen. Benigno “Ninoy” Aquino Jr., who was assassinated at the airport in 1983. In 2012 all terminals at Naia handled a record-breaking annual passenger traffic of 31,558,002, making it one of the busiest airports in Asia. The tourism department says it expects tourist arrivals of up to 10 million, in time for the Apec summit in Manila in 2015.